Homespun Stitchworks..... For the love of vintage: Lou Lou's vintage fair .... In Bournemouth for your dairies ladies..
Lou Lou's vintage fair .... In Bournemouth for your dairies ladies..
Well the weekend is practically upon us and look what is coming near me, a vintage fair in Bournemouth, Dorset! The lovely ladies from the salon will be styling hair & make up in the style of your favourite vintage icons. Once you've enjoyed the market you can grab a spot of tea and cake in the vintage tea party! 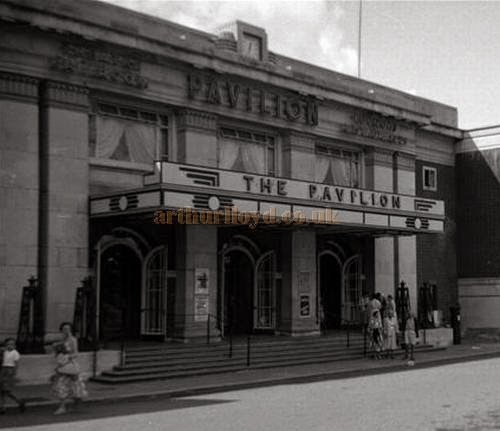 I found this very old photo of the Pavilion in Bournemouth on the internet ( I did not take this ...cheeky!) but it is very much unchanged and a wonderful building to hold such an event. There is mostly clothes I believe but there will be some china and home wares too. I am hoping somewhere in there will be some bits of vintage fabrics and haberdashery as well.... But I believe it is mostly vintage clothes for sale. Always worth going along to browse and mingel with like minded people and have a drink at the vintage tea party and of course visit the salon for a great iconic hair style. I am away to my stitching now... I may make up some more project baskets as well when the light fades.. although it is staying lighter now which is great. I must look it up but I believe the clocks change again on Sunday so it will stay lighter longer again.. here comes summer ladies and gents .. fabulous!